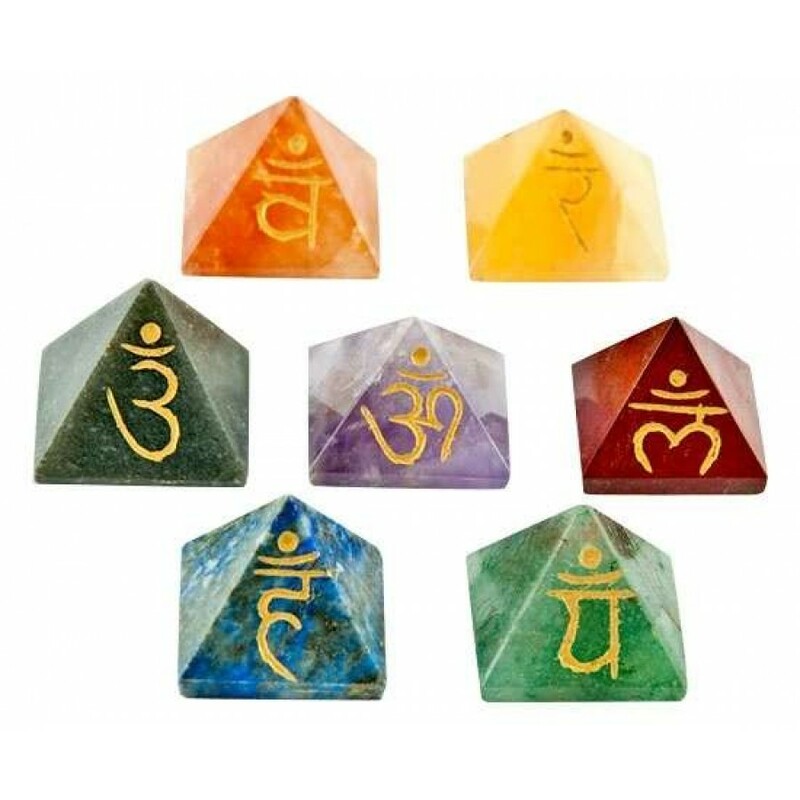 These 7, 1 inch tall gemstone pyramids are accented with the chakras symbol in gold. 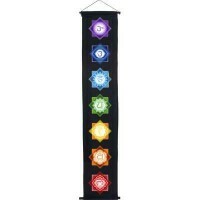 Perfect for meditation or Reiki. 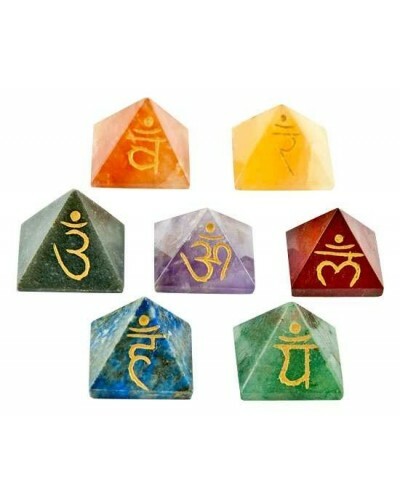 Each of these 7 polished gemstone pyramids align to one of the 7 chakra energy centers in the body - exact selection of stones may vary depending on availability. 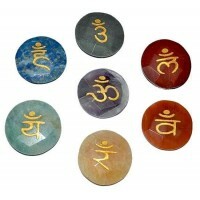 Perfect for meditation, healing or spell work, they are each about 1 inch tall. 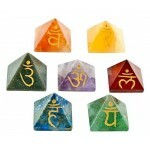 Note that these are natural stones so their sizes and colors may vary from that pictured. Item Number: OI-CHKR04 | Approximate Size (Inches): 1.00 wide x 7.00 deep x 1.00 high | Approximate Shipping Weight: 1.00 lbs.